Here you have touched upon a question that is very close to my interests Christopher. If we look at the history of modern times we find many examples of corporations exploiting addiction. Look at cigarettes for example, or gambling and alcohol. The moral question of right and wrong is difficult to answer in all of these cases. Are cigarette companies right when they market tobacco to developing countries? Is strong cider a good for society? 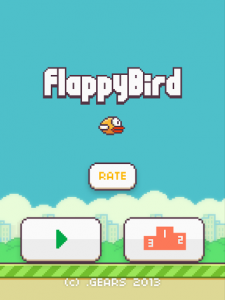 Can a video or phone game be addictive anyway? Don’t I have the right to be addicted? What about the Facebook and twitter world? Many millions are addicted. And what about questions of foresight and intention? Does the game designer know that their game will become addictive? Maybe from a certain point of view that is the very aim of the design. It is a brave move to discontinue the game, but in the face of causing problems for individuals I feel it should be applauded. Maybe these things should contain warnings like cigarette packets, although as we all know addiction is a difficult thing to quantify and to fight. Great article, I look forward to next week’s provocation. How effective are the warnings on cigarette packets anyway? I understand your point, many people think they have a right to become addicted, they can do what they want, and I am not sure adding a warning would really do that much. It would only be useful for legal reasons. Some people might play the game more if it has a warning, as they want to become part of the fun – ‘nothing is too dangerous for me’. Although he did discontinue the game, I reckon Mr Dong Nguyen made a pretty penny out of it whilst it was around. 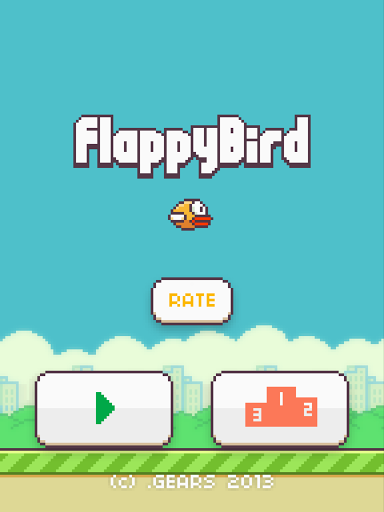 Apparently there is a new Flappy Bird clone hitting the app stores every 26 minutes. Despite Mr Nguyen’s actions there are a lot of others who are keen to exploit the addictiveness of this style of game. I can believe it Neil. I have also heard that a lot of them are being used maliciously to install malware on users devices – often to try and glean information.